We have an amazing mood board at Paper Issues today. Stop by and check out all the cool layouts. 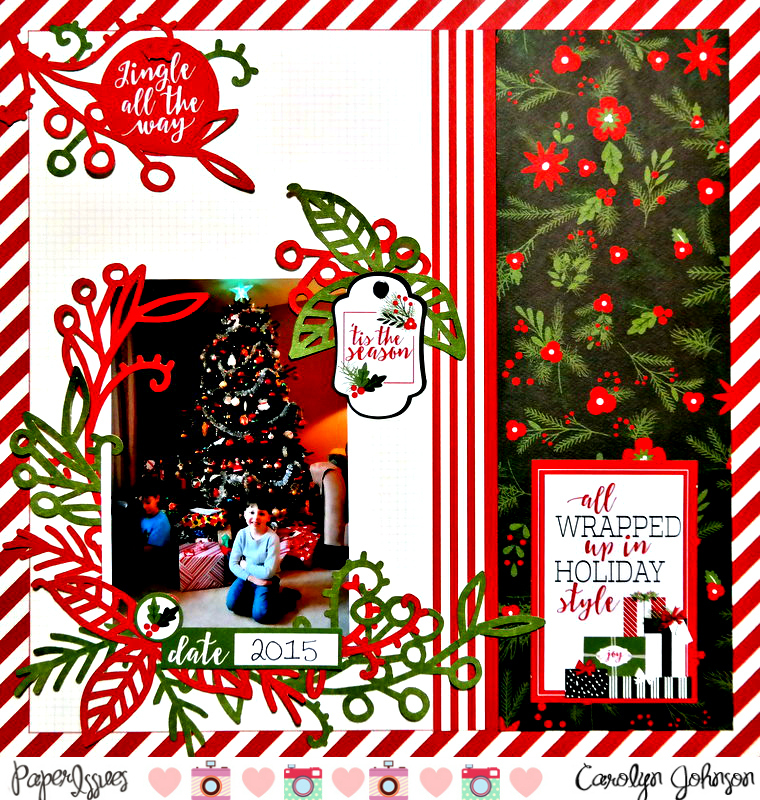 I used Carta Bella Christmas Delivery. I LOVE this collection. I see many, many layouts in the future and probably wishing for more paper. I took advantage of the sale happening at the Silhouette Design store to pick-up some cut files including the one in my layout. It was a wreath that I cut out in red and green and then cut apart and layered. Thanks for stopping by! Check out the Paper Issues store and use the code Carolyn at checkout to save 20%. Have a great day!